If you love to cook, don’t miss our new, three-day course that introduces participants to the culinary traditions of Southeast Asia, the Middle East Latin America & the Caribbean. We invite you to learn techniques and recipes from the experienced home chefs of Émigré Gourmet – culinary craftswomen who will help you conjure the exotic flavors of their native cuisines – and chef instructors from Kingsborough Community College. Those familiar with the neighborhood know that Sunset Park is a fascinating culinary destination. In its diverse immigrant communities, the ancient “spice route” is recreated in miniature within these three square miles of New York City. In the cultural groups that make up the Sunset Park, many families have preserved the culinary customs and traditions of their ancestors, and exotic ingredients they use to prepare these foods are relatively easy to come by. In this course, participants will not only to learn preparing traditional foods; the class will also provide an opportunity for informal discussion of the cultural context of each cuisine; for example, whether a certain dish is served to celebrate a bride’s wedding shower, to break the fast at Ramadan, or has some other particular significance. Course sessions will take place on three consecutive Tuesday nights, beginning December 1, in our kitchen at Center for Family Life (345 43rd Street in Brooklyn). Sessions run from 6pm to 9pm. Cooking lessons are, of course, followed by a dinner together to enjoy the foods prepared by you and the instructors! The fee for the course is $150. Class size is limited – reserve space now! For more information, please contact Jessica Bonilla at (718) 633 4823 or jbonilla@cflsp.org. 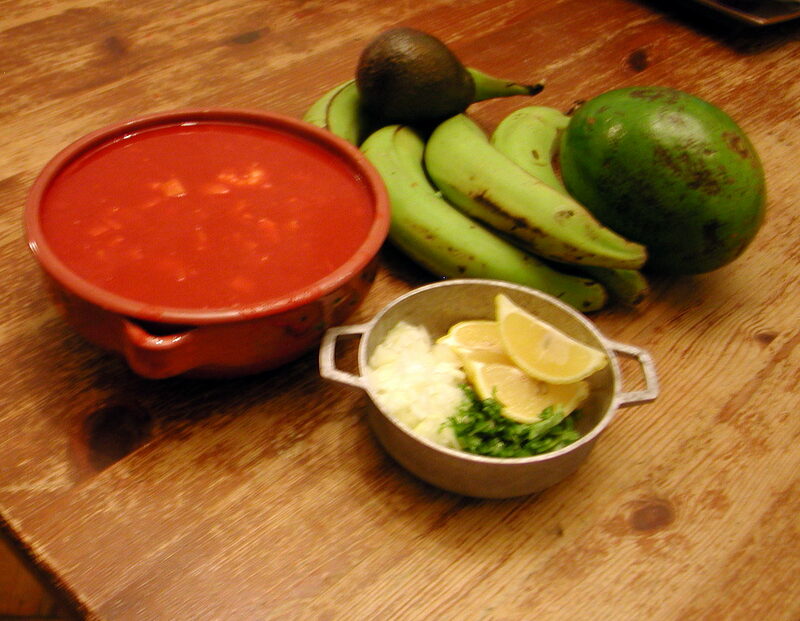 The cooking adventure continues, and this month it took us on a virtual trip to Mexico with a visit to Luz Maria and her incredible mighty-mini Sunset Park kitchen. Luz Maria is a soft spoken and gracious young woman from the Mexican state of Puebla. In previous cooking lessons she has turned out the lightest, fluffiest chiles rellenos (stuffed poblano chiles) that we have ever had the unalloyed joy and happiness to sink our teeth into. This month we persuaded her to show us a few new recipes, picaditas and enchiladas, both made with the best salsa verde that we’ve had in a long time. Hand made tortillas, soft, toothsome with a slightly nutty-sweet toasted ground corn flavor, knocked the whole experience out of the culinary grand stands. 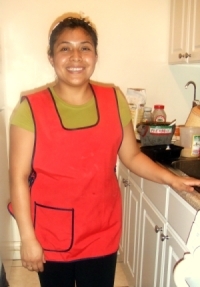 Luz claims she is nothing special in the kitchen, but we feel differently. Little by little, she is coming around to the possibility of joining our newly formed group of cooks offering private cooking lessons to eager home cooks in NYC. 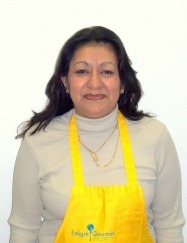 “Émigré Gourmet,” our cooking artist collaborative, would be the richer for Luz Maria’s joining up! Stay tuned for the launch of Émigré Gourmet in the upcoming weeks. Julia Jean-Francois is Co-Director of Center for Family Life. She is also a food enthusiast with a keen interest in the cooking traditions of the different cultures that make up Sunset Park’s diverse community. We will be sharing her stories about her adventures in the cooking underworld of Sunset Park. Here is the first one, wherein she learns the secrets of making authentic Chinese dumplings.